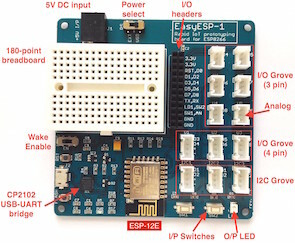 Chris (from PyroElectro) has posted an article on interfacing an external ADC chip to FPGAs and CPLDs, which do not have A/D capabilities built-in. 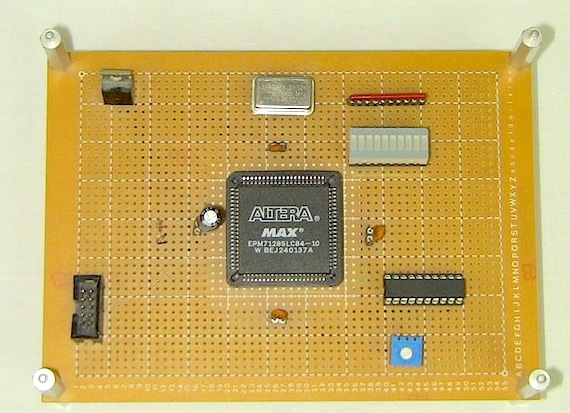 He illustrates the idea with an Altera EPM7128 and a MAX150 8-bit analog to digital converter IC. The test analog signal is derived using a potentiometer and the converted digital output is shown using an LED bargraph display. The interface between the CPLD and ADC has been implemented in VHDL.